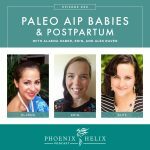 What is the Connection Between Autoimmunity and Infertility? 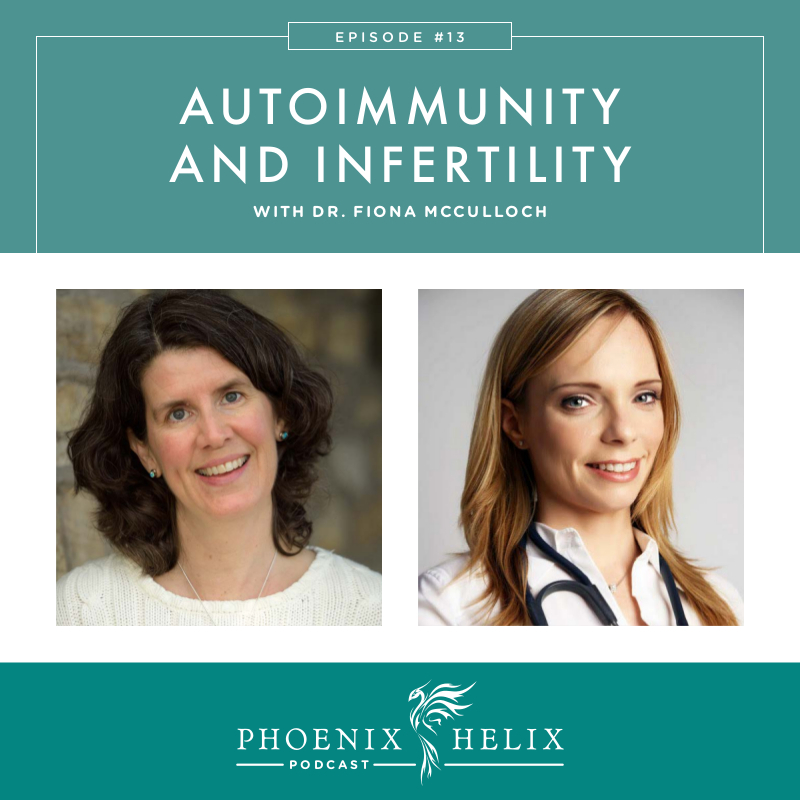 Our guest today is Dr. Fiona McCulloch, a Naturopathic Doctor specializing in fertility. In her 14 years of practice, she has seen many patients who also have autoimmune disease. Some knew that in advance. Others she helped diagnose. Today we talk about that connection. 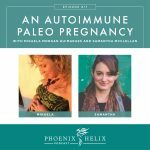 Why do people with autoimmune disease often struggle with infertility? How can we reverse this problem and restore fertility again? 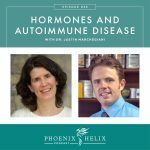 We also talk about the connection between hormones and autoimmune flares, and how health on all levels begins at the most basic level – our cells. A Naturopathic Doctor who specializes in fertility. She has PCOS herself, which she manages with diet, lifestyle and natural medicine. Fiona's mother has rheumatoid arthritis and struggled with infertility as well. Poly Cystic Ovarian Syndrome. It's not an autoimmune condition, but inflammation is at its root, so a lot of the interventions helpful for people with autoimmunity also helps PCOS. There's also an increased likelihood of developing autoimmune disease if you have PCOS, particularly Hashimoto's. Inflammation isn't a receptive state for egg implantation,and autoimmunity comes with a lot of inflammation. Immune system dysregulation also plays a role. Pregnancy is a Th2 dominant situation. People with autoimmune disease tend to be TH17 dominant, and they also have a deficiency of T regulatory cells, which is linked to miscarriages. Hormone imbalances also have a huge impact on both autoimmunity and infertility. Egg Quality – This is all about cell and mitochondrial health, which matches Dr. Terry Wahls theory that all health issues begin in the cells. Stress, inflammation and autoimmunity can all negatively impact egg quality. The paleo diet, plenty of healthy fats, moderate exercise, stress management and sleep can all positively improve egg quality. Supplements that are also helpful are mitochondrial antioxidants: Ubiquinol and PQQ. Hormones – Many people with autoimmune disease have cortisol dysregulation and adrenal issues, resulting in low DHEA (an adrenal hormone). DHEA is essential to egg quality. There's also an immunological connection between the adrenals and the ovaries, so supporting adrenal function and balancing hormones is essential to fertility. One important step is this process is entraining healthy circadian rhythms. The Gut – Dr. Fiona recommends the Metametrix Microbial Ecology test to assess gut health, identify pathogens, and potentially find micro-organisms that are known to have a connection to autoimmune disease. She then treats any problems that are found, and restores healthy bacteria with probiotics. Some probitoics stimulate the immune system while others calm it down. She recommends the probiotics that are known to have anti-inflammatory effects: Lactobacillus Casei, Bifidobacterium Infantis, Bifidobacterium Longum, Lactobacillus Bulgaricus and Streptococcus Thermophilus. If you're curious about a specific probiotic, type the name into PubMed, along with the word “immune” to learn its effect on the immune system. Immune System – Increasing T regulatory cells helps balance an overactive immune system. Helpful supplements: Vitamin D, Wobenzym, EGCg from Green Tea, Pine Bark, Grape Seed. Proper methylation is also important, because regulatory cells have folate receptors on their surface, so discovering MTHFR mutations and treating as needed can be important. All of these are interconnected. 36 year-old patient, diagnosed with premature ovarian insufficiency (very few eggs left). This is very common in people with Hashimoto's, so Dr. Fiona ran antibody tests and discovered this patient had Hashimoto's and was unaware of it. She had been trying to get pregnant for 3 years with no success. She had low DHEA, hormone dysregulation, gut pathogens, blood clotting issues, and high inflammation. They worked on all of these issues over 10 months with success. She conceived and gave birth to a healthy baby. Remove – pathogens, parasites, infection, etc. Treat with herbal or conventional antibiotics. Reinoculate – probiotic therapy and a healthy diet. Dr. Fiona uses Natren probiotics in her practice, as well as her own formula of anti-inflammatory strains, which you can buy through her website. She also likes Prescript Assist, which you can buy through Amazon. Repair – gut lining by reducing inflammation and tightening cell junctions. Helpful supplements: L-Glutamine and Slippery Elm. Patient with rheumatoid arthritis tried to conceive for two years. She had miscarriages but no successful pregnancies. Her RA was severe, and she was in a lot of pain. Dr. Fiona began treating her for egg quality, which simultaneously reduced some of her inflammation. She got pregnant within 2 months, carried the baby to term and had a healthy baby. Sometimes, a small intervention can make a big difference. Why do some people go into remission during pregnancy? Overall, pregnancy is a state of immune tolerance, where the body calms the immune system down to accept a new life growing within. Why do some people either develop autoimmune disease, or go into a flare after delivery? There's a huge hormone shift, and as we've discussed, hormones strongly affect the immune system. Cravings: It's normal to become insulin resistant during pregnancy, so the body is craving “sugar.” However, that's not what it needs. If you eat more often and increase the healthy fats with all your snacks and meals, it can mitigate these cravings and keep your blood sugar balanced. Be kind to yourself. If you eat something you “shouldn't”, forgive yourself and move on. It's a special anti-oxidant that protects our cells bodywide from damage. It protects egg health, and T regulatory health, so it's important for both autoimmunity and fertility. Supplements that increase glutathione: NAC, ALA, Selenium and Liposomal Glutathione. Dr. Fiona McCulloch has a clinical practice in Toronto but she also consults with people worldwide via Skype. You can connect with her through her website, blog, or Facebook. She's also writing a book on PCOS, which will be published this year. 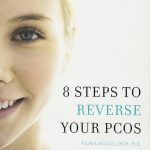 Update: The book was published: 8 Steps to Reverse PCOS.